Hooray!! Wave a Canadian flag! Celebrate the win — but not for too long! 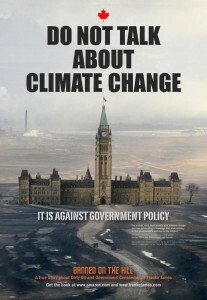 Yes, thanks to 142 Indiegogo funders from Canada, the U.S. and Europe, we got the “Do Not Talk about Climate Change” posters up in Ottawa. We’re off to a great start — see the major media below — but the BIG opportunity is to take the message to other Canadian and U.S. cities. The S-T-R-E-T-C-H goal is to raise a total of $10,000 (or more) to go to another city, like Calgary, Vancouver or even Washington. You can help by spreading the word. 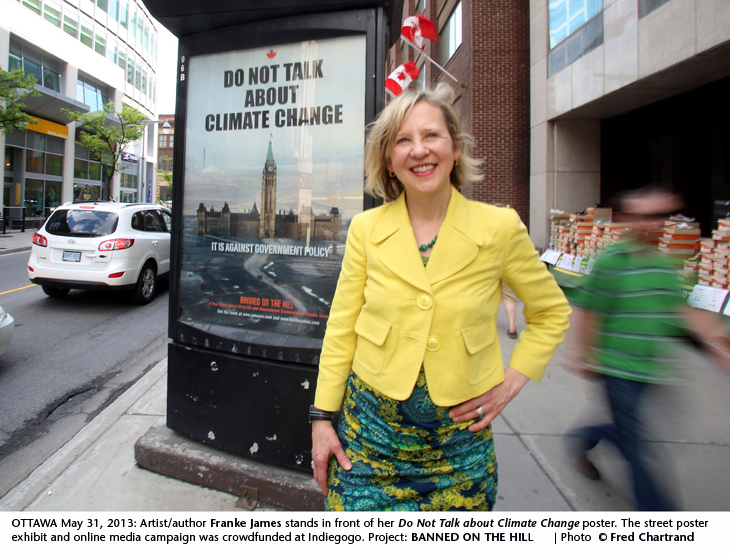 Visual proof – Here I am in front of a poster at Bank and Slater. The shopkeeper came out to tell me that lots of people are posing in front of the poster — and he wanted to know more…. I told him to please go look at BANNED ON THE HILL on Indiegogo. And tell others to give their support! 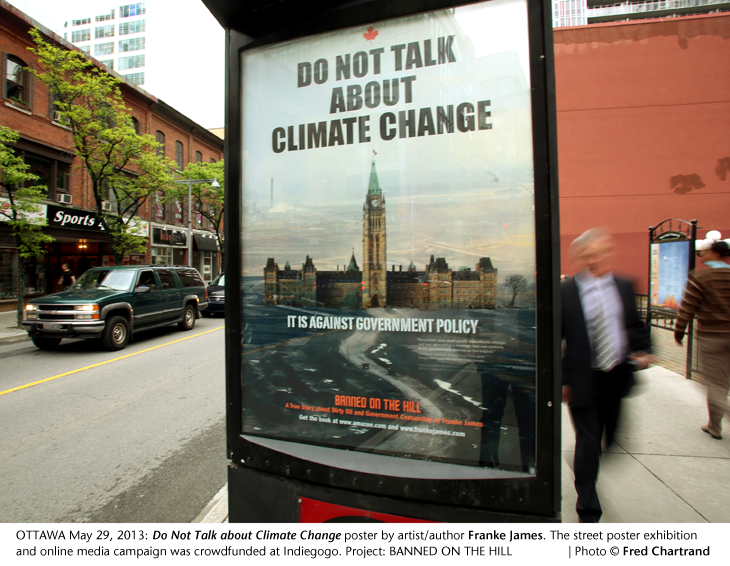 Want to help take the “Do Not Talk” posters to more cities? Great idea Franke! Has anyone told George Lakoff of this campaign? Great idea to contact George Lakoff. If you know him, please contact him — otherwise I’ll give it a try.